BAR HARBOR — Mount Desert Island Hospital is offering a ServSafe® Food Protection Manager Course 8 a.m-3:30 p.m. Friday, Nov. 9, in the Wolf Conference Center on the second floor of the Lisa Stewart Women’s Health Center, 330 Main St. 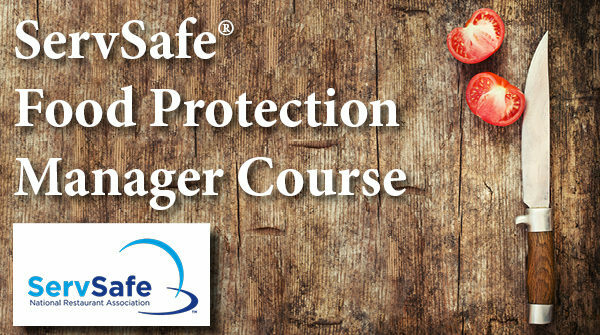 The ServSafe® Food Protection Manager Course delivers consistent food safety training for food service employees. The program covers five key areas: Basic Food Safety, Personal Hygiene, Cross-contamination & Allergens, Time & Temperature, and Cleaning & Sanitation. The course will be led by certified ServSafe® instructor Marion McLellan RD, LD, Nutritional Services Manager at Mount Desert Island Hospital. The cost to register is $135 and includes exam book, training, test, and continental breakfast. To register, or for information, contact Marion at 801-5001 or Marion.McLellan@mdihospital.org. The registration deadline is Oct. 9.